Sony Pictures have announced that Smurfs 3 is not only being fast-tracked into production, but that it will be a completely animated adventure that reboots the entire franchise. That means no Neil Patrick Harris, no Hank Azaria, and absolutely no CGI. According to reports, the animated reboot of The Smurfs will feature entirely new environments and character design, supposedly something closer in look to Smurfs creator Peyo’s original art. This could be a sign that Sony will try and steer the plot of the franchise back to the cartoon as well, and in doing so possibly do away with the ‘real world’ setting that we have seen in recent cinematic adaptations. You can read an excerpt from the official press release below. Sony Pictures Animation has hired animation industry veteran Kelly Asbury (Shrek 2, Gnomeo & Juliet) to direct an all new, fully computer-animated film featuring the world’s most popular blue creatures. The family adventure, currently going by the working title The Untitled Smurfs Movie, is anticipated in theaters August 2015. Jordan Kerner (The Smurfs) is producing, with Mary Ellen Bauder (Hotel Transylvania) co-producing. The original two live action/CG hybrid Smurfs movies from Sony Pictures Animation grossed a combined $910 million worldwide. 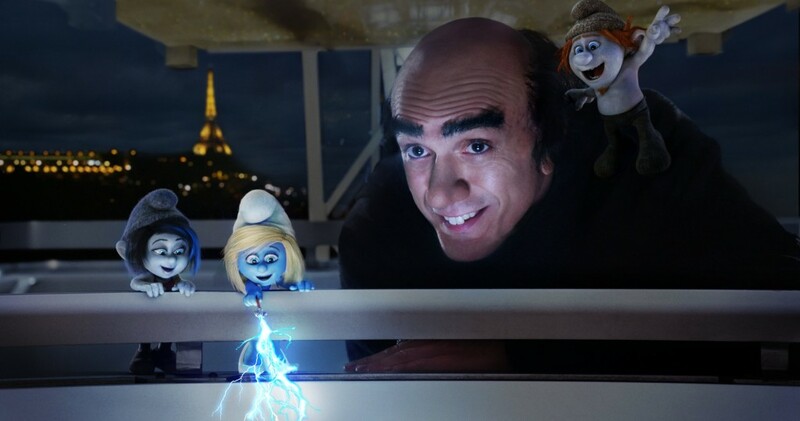 Smurfs 3, which will probably be renamed before it sees release, is currently on schedule to arrive in theaters sometime in 2015. No casting has been made public yet, but unless Sony is determined to start over fresh, I see no reason why the voice cast from the last two films could not return for the reboot.